If you are looking for a limo service for your next corporate meeting, convention, or another important event, we can help. Our VIP transport services are easy, convenient and reliable. While we specialize in shuttle bus service for large groups, we also are pleased to provide excellent limo service for your CEO, executive or other VIP personas. At Production Transport, we are pleased to offer excellent corporate transportation. We specialize in shuttle bus service, VIP transportation and vehicle wraps. If you need help finding the best ground transportation for your company, we are your solution. Whether you need a mini bus, a deluxe motor coach or otherwise, we can help you find what you need. Traveling doesn’t have to be overwhelming or stressful. With our experienced professionals, you can sit back and relax, knowing that your transportation is taken care of. For over 34 years we have been providing high quality transportation services for companies and large groups across the United States and Canada. We value our customers and make sure that we provide reliable, flexible, and thorough work so that you can have an enjoyable travel experience. We take care of all the planning and organizing so that you don’t have to worry about a finding transportation in an unfamiliar city. With our service, you can sit back, relax and focus on your important meeting, conference, or trade show. 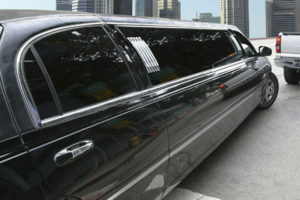 Ready for a relaxing, easy limo service?